A broad overview from Toyota Research Institute (TRI)on how mobility technology is advancing and likely to affect businesses (Automated Driving, Robotics, Artificial Intelligence, Materials Discovery, and User Experience). 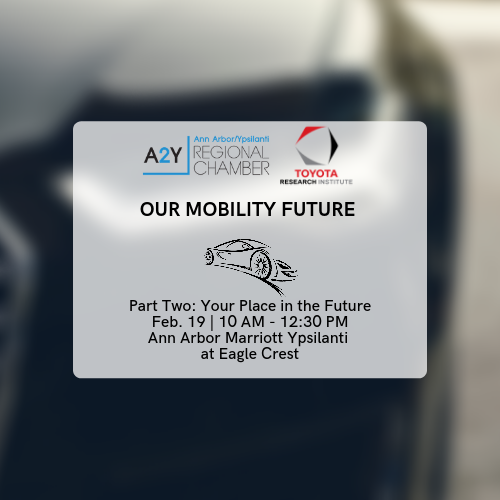 Our program will close with a working lunch with breakout groups to design a “What We Should Know” packet for businesses in our community to get ready for a mobility future. 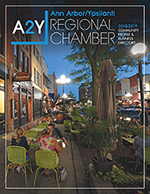 Learn more about what’s coming, enjoy lunch with fellow chamber members, and get a chance to give your thoughts on what we all need to know. Join us on February 19that Your Place in the Future!